Srinagar, Dec 12: Satisfied with the steps taken by the Wildlife Department in restoring the damages caused to the wildlife sanctuary at Hirpora Shopian, High Court today closed the PIL on the issue. 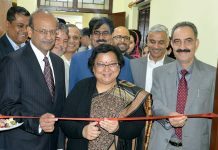 The Division Bench of Justice Ali Mohammad Magrey and Justice Sanjeev Kumar while closing the instant PIL further directed the Government to ensure implementation of the provision of law while undertaking the restoration work with reference to the preservation of the sanctuary. Court is satisfied as State Wildlife Department has taken all the factors into consideration for restoring the damages caused to the wildlife sanctuary. “We are further satisfied that the Wildlife Department has duly been compensated to fully restore the damages by the executing agency”, DB said. Court also directed to ensure that the restoration work is completed and report in this behalf is submitted before the Registrar Judicial within a period of six months from today. Needless to mention that the project work of transmission line along the sanctuary was undertaken by the executing agency pursuant to the permission granted by the Government in terms of Government Order No. 248-FST of 2016 dated 04.10.2016, and the damage caused, as submitted by the counsel for the executing agency, is neither intentional nor deliberate. 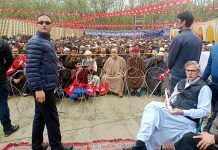 The issues raised in the petition were with reference to conservation and preservation of Hirpora Wildlife Sanctuary for taking immediate steps for restoration of the damages caused by the use of machinery to carry out heavy blasting in the sanctuary for laying 400 MV D/C Transmission Line from Samba to Amargarh. Perusal of the status report reveals that the damage to the tune of Rs. 247.50 crores was assessed by the experts while laying 400 MV INC Transmission Line from Samba to Amargarh. 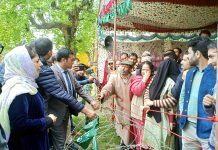 The penalty amount has been deposited with the Wildlife Protection Department and Chief Wildlife Warden Shopian Division has reported that the amount to the tune o f Rs. 247.50 lakh received from the executing agency as a penalty is sufficient to restore the damage sites. 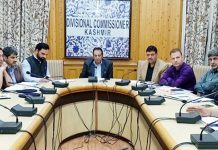 Wildlife Department, has also submitted the Mitigation Plan for restoration of damaged Wildlife Sanctuary which reveals that the department has detailed out the quantum of work with reference to restoration of damages head-wise and the estimated cost required for the same the report has been taken on record.